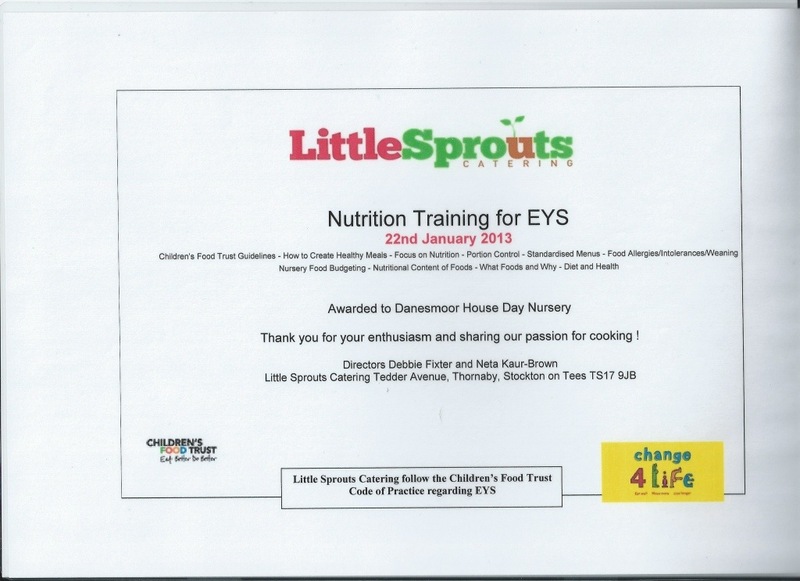 Congratulations Jules on passing the Little Sprouts Nutrition course. 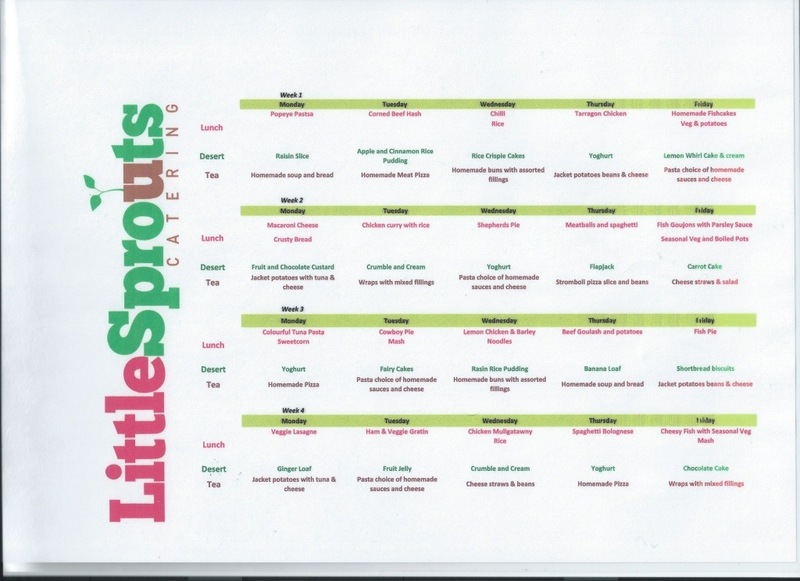 Little sprouts are a local organisation that helps us ensure that all the food served at Danesmoor House Day Nursery meets your child’s nutritional needs, whatever their dietary requirements. Food is central to what we do here at Danesmoor, and Jules plays a very important role in your children’s development. Introducing them to new textures and tastes, and providing a menu that promotes healthy growth. As part of our commitment to food, the next month will see us complete a food audit to ensure every child is receiving the right balance of protein, carbohydrates and Fats that they require. After that Jules will be taking an overseas holiday. Whilst she is away little sprouts will provide the catering. An example of their menus is below. All the food will be cooked off site and delivered at temperature to be served straight away. We wish Jules a happy holiday, and thank Little Sprouts for providing our catering for us in her absence.